General Re Insurance Company is an insurance company that writes life, health, casualty, property, ocean marine, and treaty insurance. General Re is a subsidiary of Berkshire Hathaway. 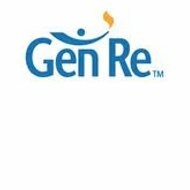 General Re operates its health reinsurance out of Stamford, Connecticut and Portland, Maine. There are over forty offices of General Re across the globe. Their agents specialize in underwriting, product actuary services, and claims. The company believes in direct distribution of their products. General Re agents can be found by clicking on the “Contact Us” section of the website. Under this section, the site provides all of the countries and cities where there are General Re offices. You can click on the city of your choice to see the address, phone number, fax number, and location, with a map of the office. You also have the ability to see the department that works out of the office and a company directory. Critical illness covers serious conditions that are usually not covered under regular insurance. This particular coverage can be added as a rider or bought as a stand- alone policy for individuals or groups. Additional coverage includes financial benefits during the time of the critical illness. General Re’s group long-term disability varies on how it is underwritten. General Re agents underwrite long-term disability focusing on medical, policy riders, and claims. General Re offers individual disability income reinsurance providing programs that are renewable, non-cancelable, and riders for policies. General Re provides Medicare supplement coverage only as a coinsurance to Medicare. General Re also offers the service of administering employee benefit programs. They design insurance coverage, claims management, billing and collection, data management, policy administration, and a toll free customer service line. General Re also operates internationally providing various services to multiple countries. However, the company only provides health coverage in Australia and the United Kingdom. General Re maintains a specialized team that handles claims in a timely manner. The team investigates claims when necessary as well as process claims assisting policyholders. The team also offers claim-auditing services for short-term and long-term disability. You can find General Re careers on their website. The company provides the opportunity to email your resume through the website. You can also see the job openings on the bulletin board on the website. Jobs are posted by country, city, department, and position. After clicking on a position that is of interest, a description of the job appears as well as required education and experience. After reviewing the description, you can email your resume to the point of contact listed on the site. General Re provides different options for contacting the company depending on your preferred communication method. You can call the Connecticut customer service line at (203) 328-5000 or the international line in Germany at 49-221-9738-0. The site also provides the ability to contact individuals via email. You can contact an employee by typing in the employee’s last name or you can email General Re by completing the form online. The site allows you to choose a branch location, the department, associate name, and fill in your message or add attachments. General Re clients have the ability to login to the General Re website. However, the site does not specify what the client can see or do on the site once logged in to his or her account. General Re also holds events, which educate clients in insurance changes and needs. Recently, they held a “Dynamics Seminar” which offered information on disability insurance. Risk forum seminars are also available for professionals interested in learning more about disability insurance. General Re is rated A++ by A.M. Best. Compare other insurance companies and receive health insurance quotes from active providers by typing your zip code into the free rates tool now!